 Chef Works Front of House collection features vests, universal shirts, banded-collar shirts, dress shirts, Womens fitted shirts, cafe shirts, ties, and coats designed to coordinate together for a neat, professional look. A sophisticated coat helps front of house employees look and feel their best. 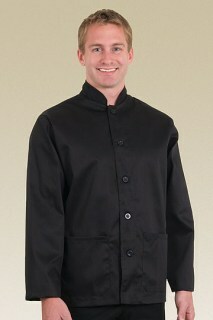 These front of house chef shirts, server coats, waiter coats, and sushi coats are made with crisp, easy care fabric and maintain their tidy appearance wash after wash. 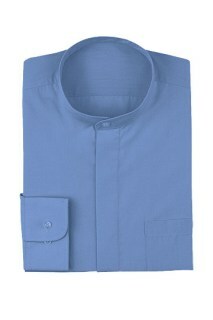 Chef Works offers one of the most extensive collections of front of house dress shirts you'll find anywhere. These dress shirts come in an array of classic patterns as well as bright solids, true white, and deep black. The polyester and cotton blend fabric will provide lasting quality, fit, and shape. 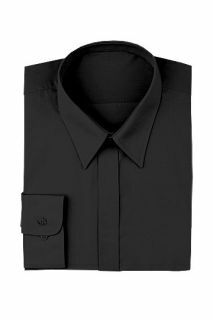 These front of house dress shirts are truly a great value. You won't find front of house neckties this good-looking anywhere else. These ties feature unique, stylish patterns and dazzlingly vivid colors. 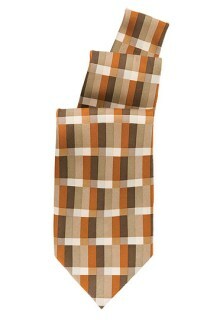 These sharp-looking ties are truly something special, and whether on-the-job or off, you'll make quite the impression. 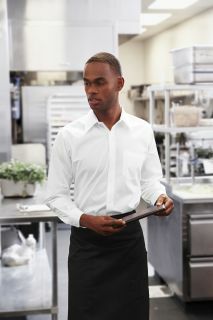 Chef Works front of house universal shirts perform exceptionally well and look fantastic. These short-sleeve, button-down shirts are made with a polyester and cotton blend that is easy to care for, durable, and looks sharp wash after wash. 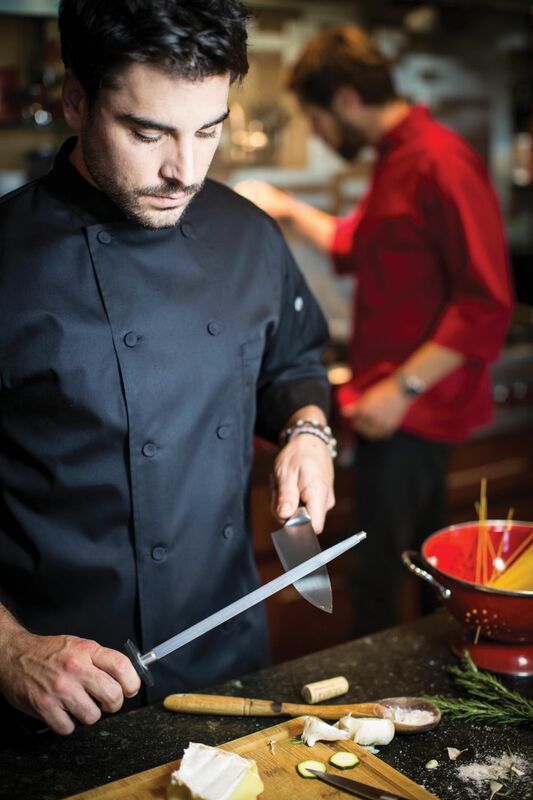 These universal shirts are equipped with Chef Works Cool Vent technology, so they wick moisture and allow cool air to reach the skin through special panels. Choose from one of many strikingly bold colors to suit your style, mood, or dÃ©cor. 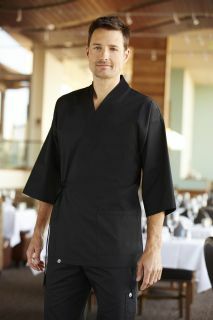 Chef Works front of house vests help you look sophisticated, professional, and put-together. These vests come in classic styles, colors, and patterns that are sure to blend seamlessly with any look. 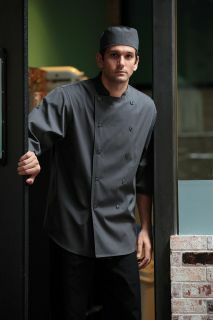 Chef Works front of house vests are available in a wide range of sizes, and they're made from easy-to-clean, durable polyester. Many women feel their most confident and capable in clothing that fits and flatters beautifully. Chef Works Womens fitted shirts offer a feminine fit as well as exceptional durability and comfort. These fitted shirts are made with a blend of durable polyester, comfortable cotton, and spandex for a form-fitting stretch.